How Do You Choose Senior Retirement Housing? 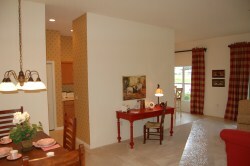 When you retire, you want senior retirement housing that is specially designed for you. 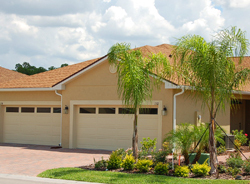 Century Residential has over 30 years of experience designing Florida retirement communities with active seniors in mind. Vienna Square is one such community, and it is unique in that it includes both an active senior community and an adjacent continuing care campus for those who need assisted living, but still wish to be part a the community. 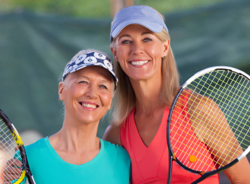 What is an Active Senior Community? It is well known that seniors do better after retirement if they have plenty to do and a community to interact with. 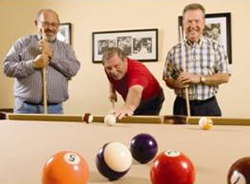 Vienna Square provides this by offering a variety of senior retirement housing options, all of which participate in monthly activities and have full access to the clubhouse, where there are opportunities for daily activities and socializing. Do you still want to live in a house, with no neighbors on the other side of a wall? 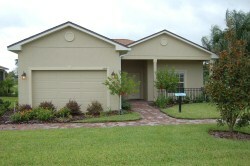 We have plenty of single family homes in a variety of sizes and layouts. Do you prefer a maintenance-free condo? We have our wonderful villas in two layouts, and there are only four to a building. All our homes are single story for safety and convenience, and include a garage and a porch; and, since you own your home, you can decorate the inside any way you please. If at any time you do need assisted living, either permanently or temporarily after surgery, there is an adjacent Continuing Care Campus. It allows couples to stay together even when the health needs of one of them changes. Vienna Square has a 7000 square foot clubhouse that includes a ballroom, billiard room, health and fitness center, a movie theater, swimming pool, tennis court, and much more! This is where the community gathers for monthly events or weekly meetings of special interest clubs. This is what living in a retirement community is really all about. Here is where you get together with old friends and make new ones. Plus, as long as you drive, you can get to beaches on two coasts, plenty of theme parks, theaters, shopping, restaurants, museums, historical sites and so much more. The location of Vienna Square, in the wonderful town of Winter Haven, is convenient to everything Central Florida has to offer. 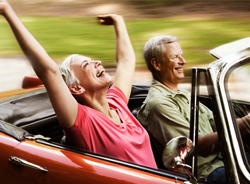 There are many things to consider when you retire and want to move on; don’t hurry. Decide what your priorities are, and spend some time checking out all your options. Choosing your retirement home is a big decision; Century Residential hopes you will consider Vienna Square when you look at senior retirement housing.